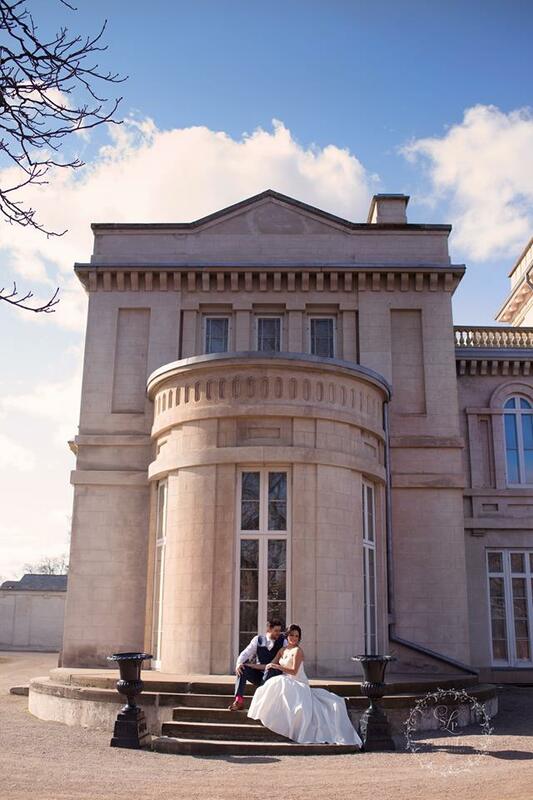 Ally & Brandon were married tis past April at Dundurn Castle, and had a reception at Carmen's in Hamilton. It was quite chilly with our winter demanding to hang on for yet another weekend into spring. 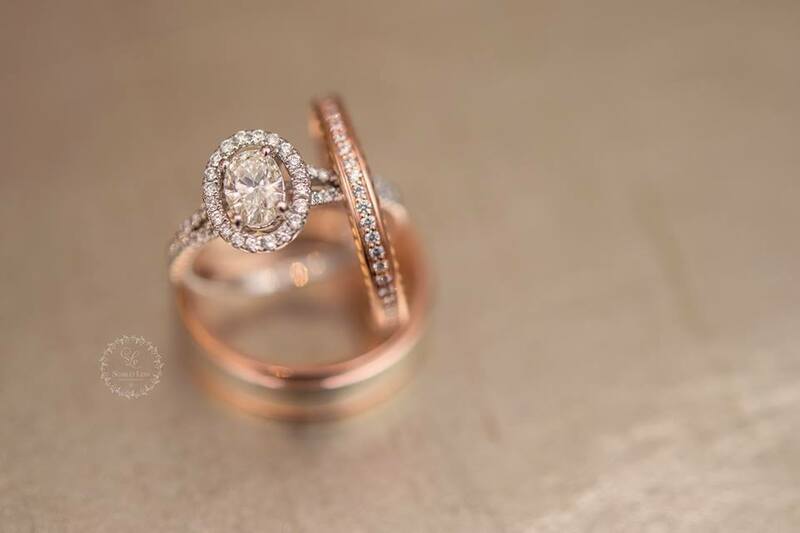 Although Ally was cold, she certainly radiated with her Love for Brandon as you can see through the talented eyes of Alisia of Scarlet Lens Photography!! 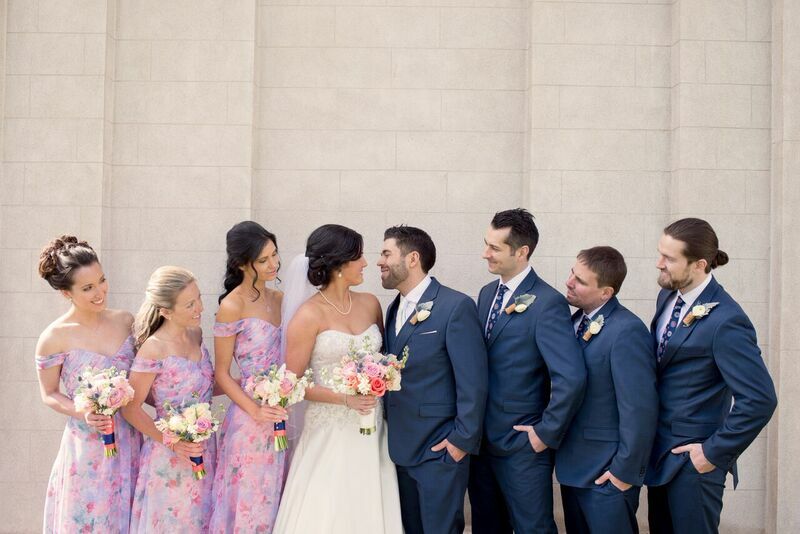 Ally's bridesmaids wore a floral print along side the handsome men who wore navy suits. 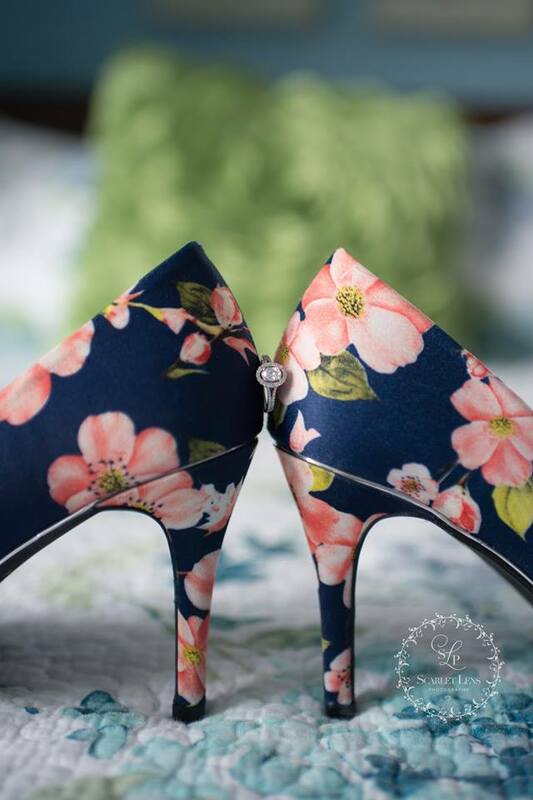 We chose to go with a bold colour palette in her bouquets and it was stunning!! 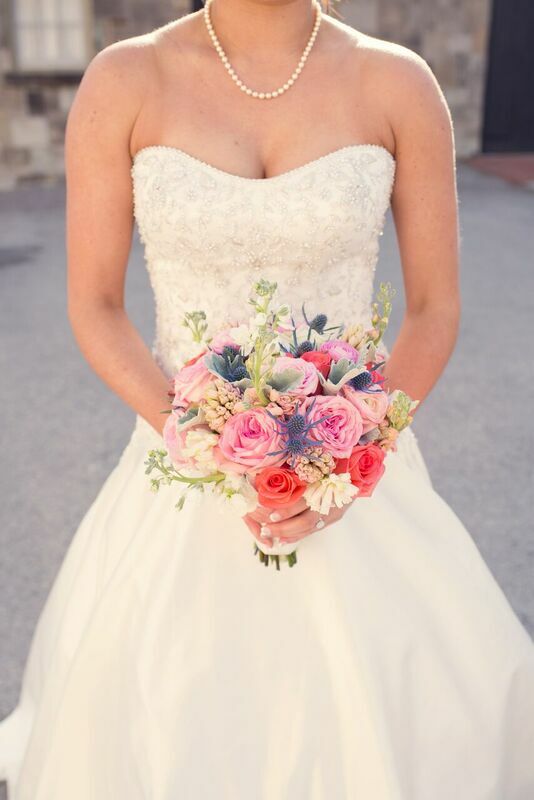 I love those brides who aren't afraid of deep shades of blooms. 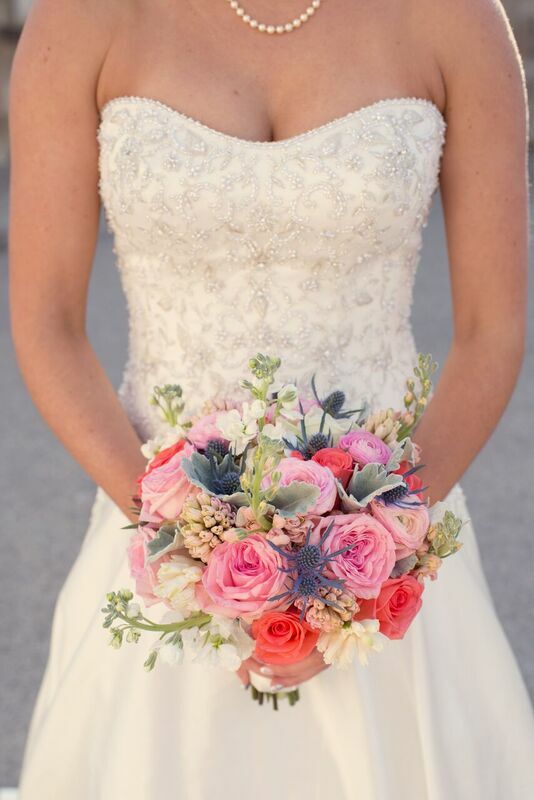 Natural blue, white, cream, shades of pink & coral flowers with grey dusty miller. Ohara garden roses, thistle, ranunculus, stock, coral roses and the sweet smell of lilac made up the bridal parties bouquets.